With almost 196 million vehicles on the road today, there is a need for highly-skilled automotive technicians in the work place. 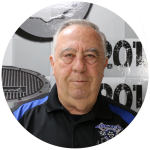 EOC Tech's automotive program is nationally certified by NATEF in Automotive Service and repair of passenger and light commercial vehicles with gasoline engines. Students may specialize in any of several technical areas. 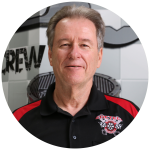 Instruction is geared toward Automotive Service Excellence (ASE) certification and the program is taught by an ASE certified master technician. Students receive the latest training in automotive technology on the most current industry equipment today.